Our Pro-Street-S offers you the top sporting performance without making big sacrifices in comfort. Due to its height-adjustability, the optimum setting for what you’re looking to do is possible with the Pro-Street-S coil-over suspension systems. Our experience from many years of in-house development and manufacture of shock absorbers and ERS springs for the top series in national and internationalmotorsports also flows directly into our coil-over suspension systems. 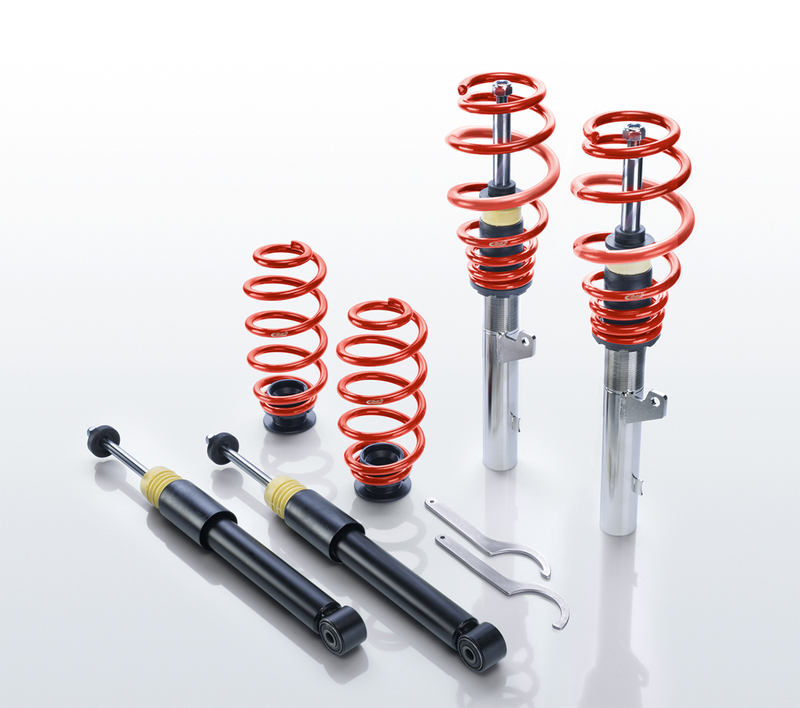 Additionally, the Pro-Street-S shock absorbers are manufactured on the basis of stainless steel technology, in order not just to provide you with a sporty performance, but also with the finest quality! In order to guarantee corrosion resistance in height adjustment, we use spring cups of polyamide compounds. This combination of tuning results flowing directly into the production, the application of high-grade materials and the utilization of spring elements drawing from our ERS racing sport line results in a perfectly calibrated product in every regard. Combined with the Eibach Pro-Tronic it is the perfect alternative solution for replacing the adaptive OE suspension.